Metro Station by Metro Station look at everything in and around Washington DC. 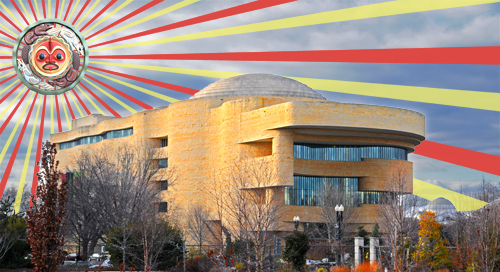 In the image above I have used the sculpture The Beaver and the Mink by Susan Point as the sun over the National Museum of the American Indian. The sculpture is on display on the first floor of the museum. The Mitsitam Cafe deserves special mention. This cafeteria style restaurant has the best and most interesting food I have ever encountered in any museum. 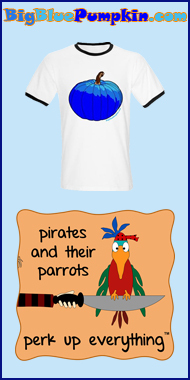 The food is organized by five regions of the Western Hemisphere and inspired by Native recipes from those regions. 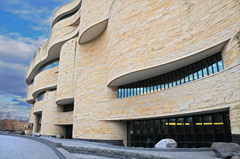 Click Museum of the American Indian Website to visit the website of the Smithsonian National Museum of Natural History. The museum is located at Independence Avenue SW & 4th Street SW, Washington, DC. Click Here for Google Map showing the location of the Smithsonian National Museum of the American Indian. Closest Metro Station: The Federal Center SW Metro Station on the Blue and Orange Lines is nearest to the Museum of the American Indian.